Her name is Ida, and she’s a handful. Normally, I’m partial to girls my own size, and historically, I’ve found myself attracted only to females I can outrun. But I do believe I’ll make an exception with this tall and most beguiling drink of water. True, Ida’s familiar in a way I’d normally find off-putting. On our first date, she didn’t hesitate to take my spot on the sofa. Then she just stared at me till my stomach felt funny. 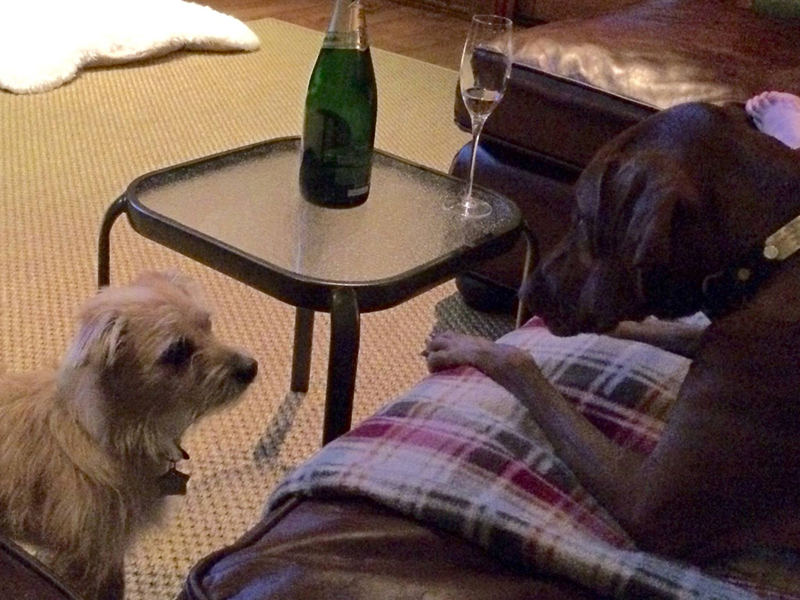 So I opened a bottle of bubbly, and poured her a generous snort. Now, we’re just staring at each other again. I’m determined not to look away, but damn – she’s looking right through me. Her eyes are liquid pools of bottomless possibility. Her haunches ripple with with every movement, however slight. Her tongue is the size of my leg. My stomach feels funny again. Please advise.